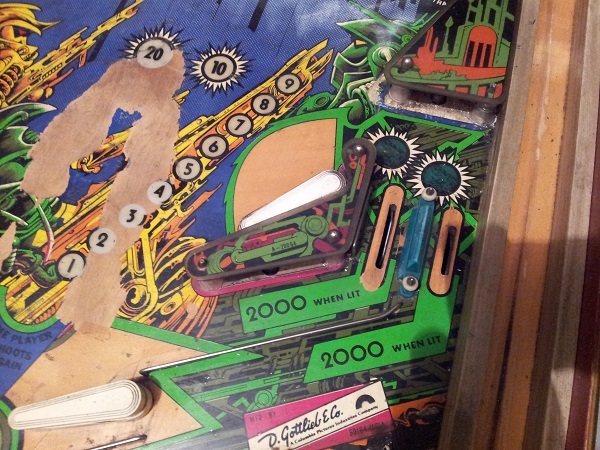 I’m close to posting my next progress update on my Gottlieb Counterforce, but wanted to do a short post about the broken display and it’s repair. 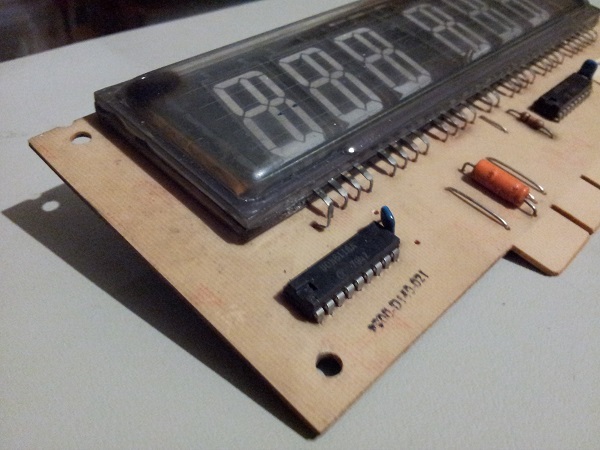 When I first started the Counterforce project, I showed how on one of the displays was broken. The first leg connecting the glass to the pcb had broken away from the glass. The break occurred on the inside (or just on the edge) and I could not repair the connection without cutting away some of the glass. So this task was put on the to do list for later on. First on the agenda for this update was cleaning the underside of the red missile inserts and replacing their old bulbs. All 28 of them. Yes, that’s as exciting as it sounds…. Each row of 7 lamps are attached to a bank which can be unscrewed allowing better better access to the bulbs. 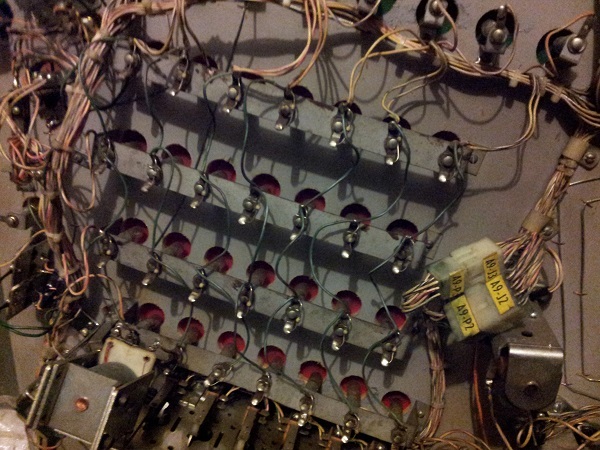 But because each bank is wired to the next, it’s fiddly to get the bulbs in and out of. All the existing bulbs are #44’s. These will be replaced with #47’s. On my to do list for awhile has been rebuilding the flippers. I only have one flipper kit at the moment, but that’s a start. I’ve decided to rebuild to upper set of flippers as these areas are the dirtiest of the two sets and also have plastics and posts that can be cleaned up and installed again. 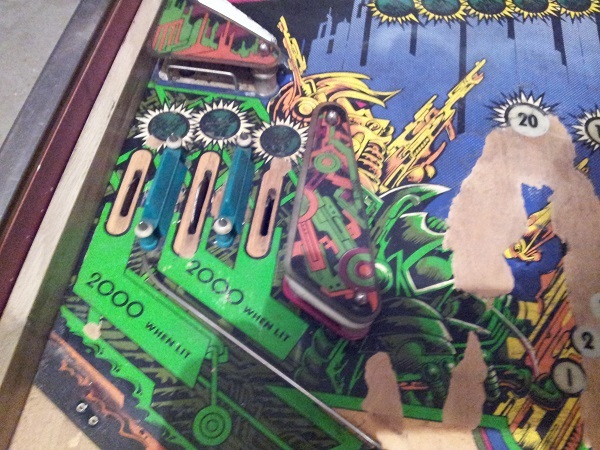 On the right hand side of the playfield we have a single outlane and a single in lane that sit behind the upper flipper. The flipper position is where normally you would expect to have a slingshot. The artwork damage isn’t as bad on this side as it was on the left (when looking at the sling shot). The condition of the plastic is unbroken and just dirty. There is another post cap missing, but I have plenty of spares to cover it. The progress is going really well right now on Counterforce and these updates are coming faster than I had expected. My plan was to focus on one set of the flippers for this update, but that got pushed back so I could complete a few other things off first. In recent updates I’ve had my attention at a few sections around the playfield with sling shots and targets. This update will focus on the remaining targets and also the bonus saucer. Next update will be the flippers 🙂 The first part of the update will look at the small target and switch located above the left (upper) flipper. The plastic here is broken in two points. Time for another update on the repair and service on my Gottlieb Counterforce. The momentum has been pretty good, although playing Pinbot is cutting into my repair time 😉 For this outing, I’ll be looking at the two sling shots and top area of the playfield. Normally my next step after the apron would be to look at the flippers. But while waiting for flipper kits to arrive, I decided to shift to the slingshots. There are two sling shots on the Counterforce playfield. The first is on the left, above the lower flipper. 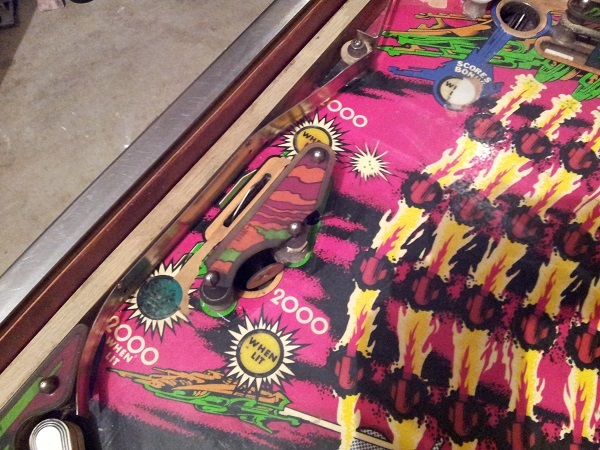 The second one is not directly opposite (as you’d normally expect), but a bit higher up on the playfield – across from the upper left flipper. I’ll start with the lower one first. Sitting behind the slingshot, we have an out lane and two in lanes. Like with the entire machine – it’s seen a lot of action and had much neglect. Lots of cleaning required and some damage I can’t undo. Thankfully the plastic is reasonably good and is not cracked. The green lane hoods are damaged (melted) from the bulb that sits below them and one has a few cracks on the front. I’ll try cleaning these up, but will most likey replace them.